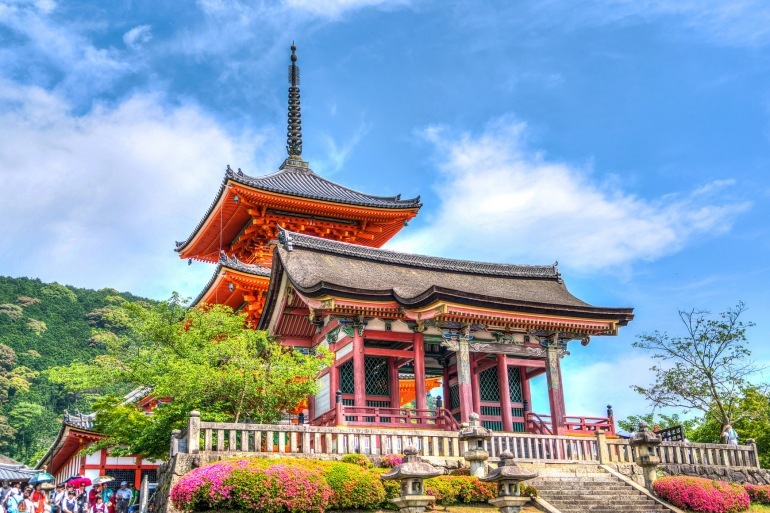 Japan is an ancient and enigmatic land, and our insider’s journey reveals a side of it few tourists ever get to see. With Japan expert and beloved Trip Leader Kate Ulberg, who has an extraordinary gift for introducing people to its culture, you’ll delve into romantic Old Kyoto, with its lantern-lit lanes and 2,000 temples, attend a classical Kabuki performance in Tokyo, and head to Takayama in the Japanese Alps for the pageants of the Sanno Matsuri festival, a fabulous spectacle dating from the 17th century. Our visits to artist studios, incredible food markets, and tranquil Zen temples unveils Japan’s unique heritage, and our overnights include ryokans, the serene inns that reflect Japanese culture in miniature, and a special night in a Buddhist monastery perched on a mountaintop. After visiting Tokyo’s treasures, we head to the mountain town of Takayama, whose ancient heritage is preserved in traditional wooden shrines and temples built by Hida master craftsmen in the Middle Ages. We taste the wares at a 17th century sake brewery and see the craft heritage expressed in thatched gassho-zukuri farmhouses that seem right out of a fairytale. Set on the coast of Japan, Kanazawa was the seat of the powerful Maeda Clan during the Edo Period. We explore its grand feudal castle and 30-acre garden, designed in the 17th century and one of the finest in Japan. The classical Samurai district at the foot of the castle has ancient Samurai houses lining the narrow streets. This lovely thousand-year-old city offers a blend of exquisite gardens, obscure shops, and hidden temples. It is also a center for superb folk arts: delicate silks, lacquerware, porcelain, fans, dolls, ink drawings, and bronzes. We begin with a visit to Ginkaku-ji, or the “Temple of the Silver Pavilion,” and a walk down the cherry-blossom-lined Path of Philosophy. We explore the Sagano and Arashiyama districts, remnants of Kyoto’s rural past with their thatch-roofed houses, welcoming teahouses, rice paddies, and the poet Basho’s hut. In the atmospheric Gion District, teahouses line the streets and on a stroll after sunset, we may see geishas in traditional attire. On Day 10, we ride by cable car up to mountaintop Koyasan Monastery for an overnight in a shukubo (temple lodge). Depart on Day 14 via Osaka.